CBD Oil Review rates Enecta with two stars because it qualifies for the Quality & Mission Badges. Say buongiorno to Enecta, the Italian CBD company with simple, full spectrum products for daily balance and wellness. Fair prices are part of their ethos, as are organic soil, elite plant genetics, and customer service. Enecta also offers premium CBG products. CBG is hot right now, but many in the industry have yet to take advantage of this beneficial cannabinoid. 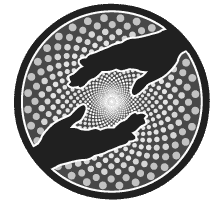 All in all, Enecta has a beautiful product line and good practices, but we’re missing some elements that would rank them higher. The Enecta brand hails from Italy, whose climate and soil conditions make it a great place to grow hemp. Enecta promises safe and effective CBD oil and employs skilled botanists and pharmacists to make that happen. Their branding has a natural feel and the product line is beautiful. They have all the outward trappings of an elite and ethical CBD company. Enecta is hyperfocused on genetics, using only specific strains ideal for CBD oil; they currently use the varieties Futura, Fedora, and Shantica. The soil used to grow their hemp in Italy and Greece is certified organic, and the company conducts comprehensive safety testing. But because they do not make these tests public, we cannot award the Safety Badge. Enecta is also focused on customer service, with pre- and post-sales assistance available on all orders. To date, they unfortunately only ship bulk wholesale orders to the U.S. and Canada, so interested American consumers will have to wait a bit to enjoy their CBD products. CBD Lip Balm – We’re not fans of two chemical compounds here: glyceryl behenate and glyceryl laurate, both of which have been found to cause irritation. CBG is the up-and-coming cannabinoid, as more and more research reveals its natural benefits. 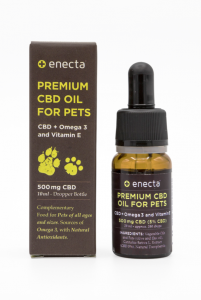 We’re seeing it pop up here and there as a stand-alone product among CBD merchants, but Enecta is taking it to another level with their high-quality CBG offerings. Here, here! On a final note, Enecta does not disclose their extraction process, something we’re not OK with, but they allude to using a solvent method by stating “the presence of residual solvents in the products is secure and in compliance with the standards applied to pharmaceutical products.” If they use organic ethanol, that’s one thing, but a harsh chemical like butane could drastically alter our opinion of the company. Bottom Line – Enecta looks great on the outside, and the CBD and CBG oil on the inside seem to check out. Like so many vendors with two of five badges, we need to see more from them to firmly recommend their products. Enecta uses hemp grown in organic-certified soil on farms in Italy and Greece which use zero pesticides or herbicides. Enecta is on a mission to create the best CBD oil extracts and give everyone the possibility to benefit from them.